Hello everyone and welcome to this month’s Traveler’s Journal feature! This month is all about food! 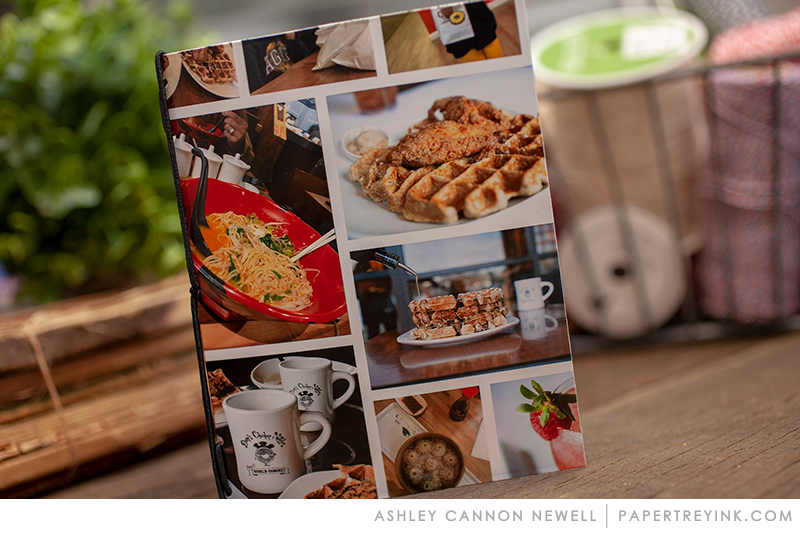 You can use your Traveler’s Journals to document food in a bunch of fun and different ways. 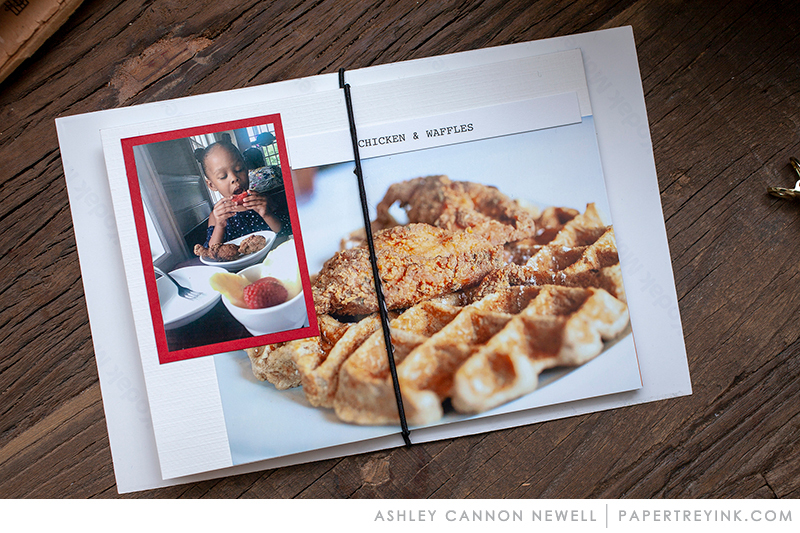 Create a recipe book, document your favorite meals from different restaurants or at home, keep a food journal, and more! You can keep things simple or get as elaborate as you want with all of the details. You are going to love all of the ideas that the Traveler’s Journal team has in store for you today. 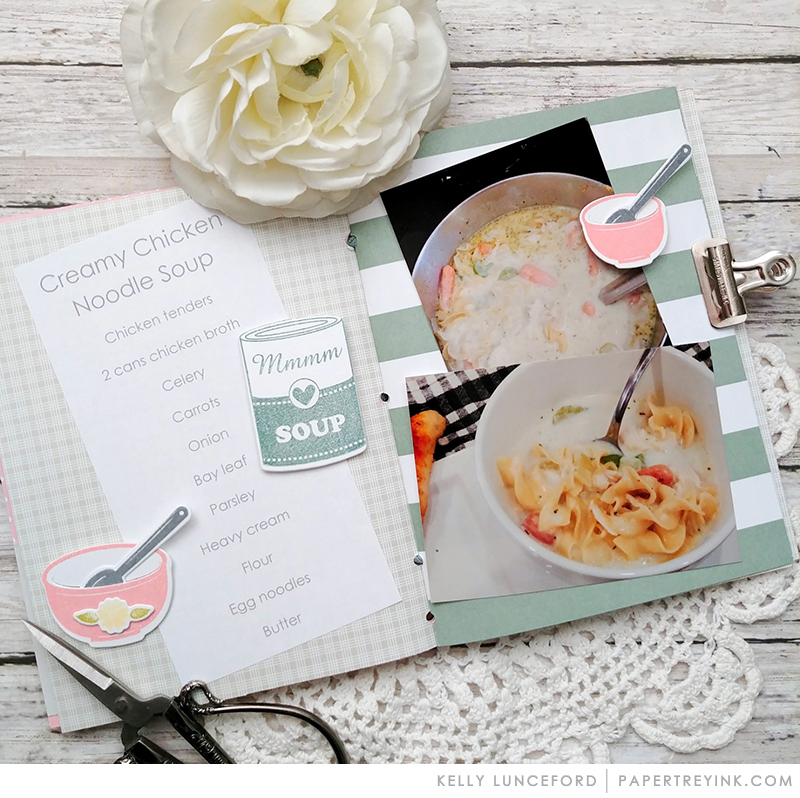 The project that I created to share today is a fun twist on a recipe book. 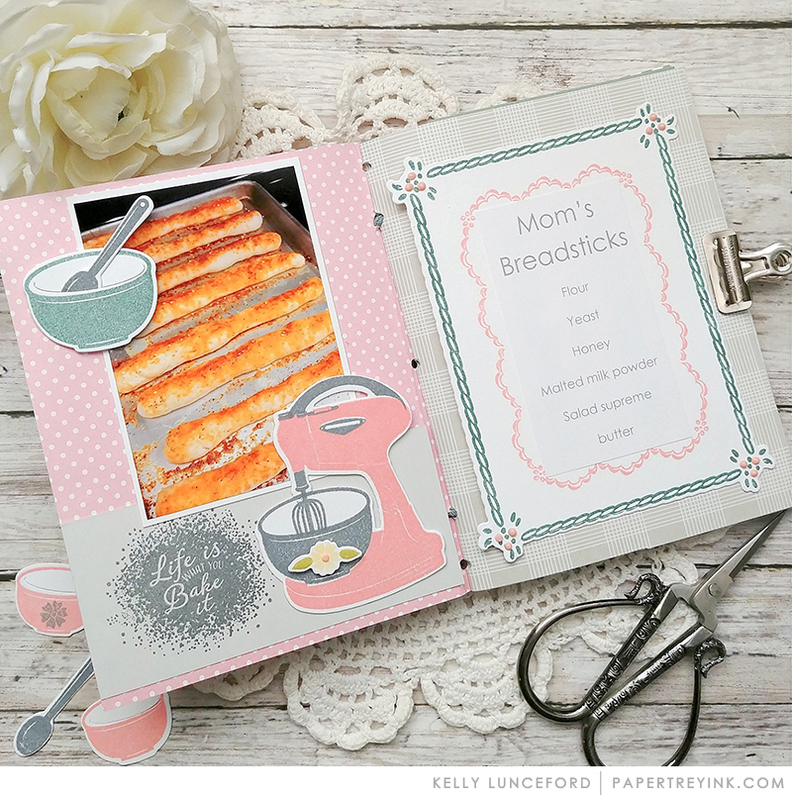 It could be used as a gift for a wedding shower, a get together with friends sharing recipes at a pot luck or progressive dinner, a cookie exchange, or even just to keep for yourself to collect your favorite recipes in one place. 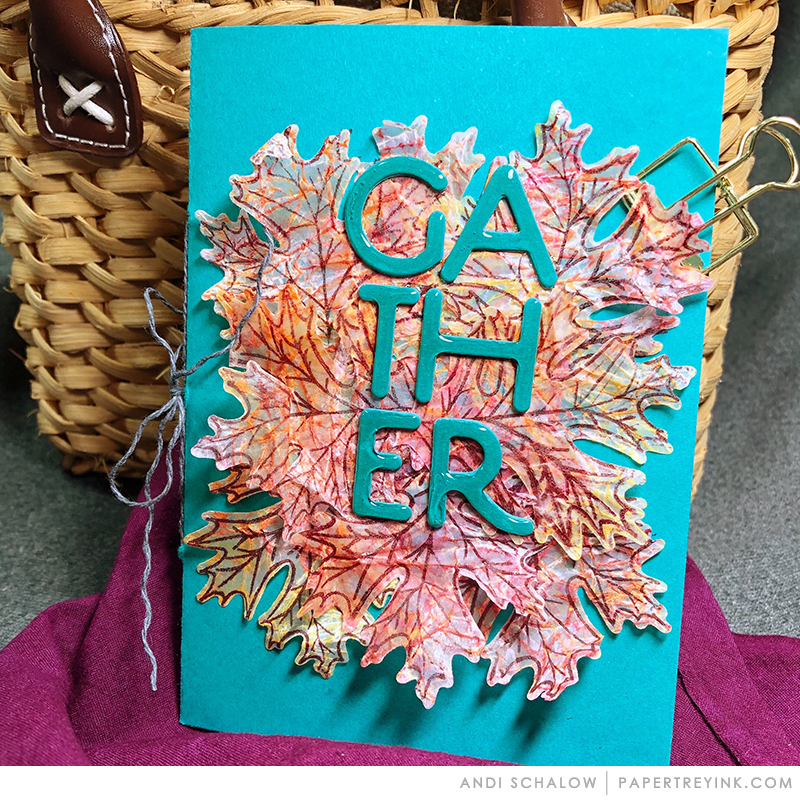 I used the Monthly Moments: Journal Card 3 die to create recipe cards cut from Kraft cardstock. I stamped the lines in Fresh Snow ink using the journal line block image in the Traveler’s Journal: Field Notes stamp set and added the “from the kitchen of:” sentiment from the Too Hot To Handle stamp set in black ink. 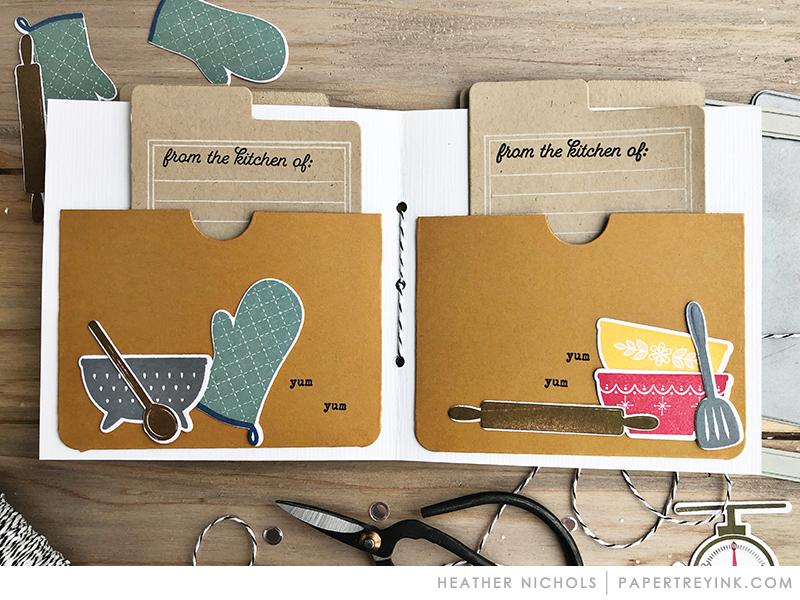 If you were having a gathering like a shower, just tuck some of the recipe cards into the invitations for the guests to fill out and bring to the party. 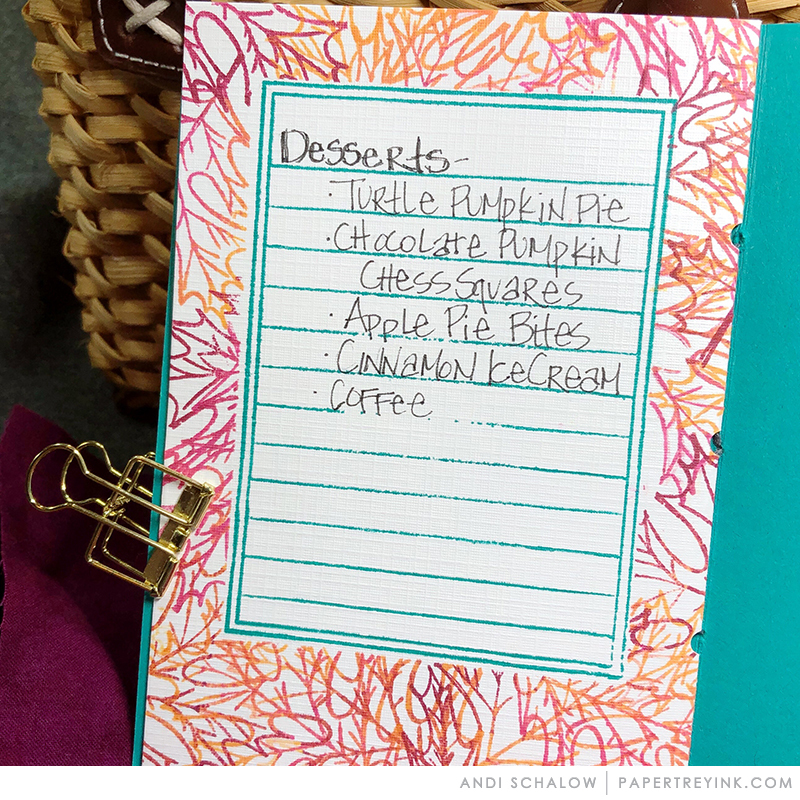 Or you could have the guests bring a recipe for the other party attendees to fill out on their own cards that are supplied at the event. Then inside the journal, I added pockets to each page that are cut from Honey Nut cardstock with the pocket die that is a part of the Traveler’s Journal: Accessories die collection. 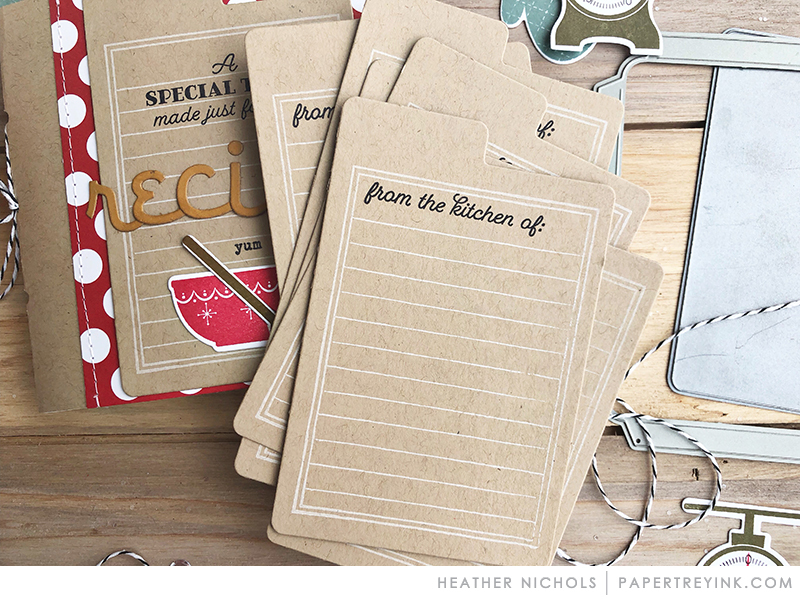 The recipe cards can then be just tucked into the pockets on each page. 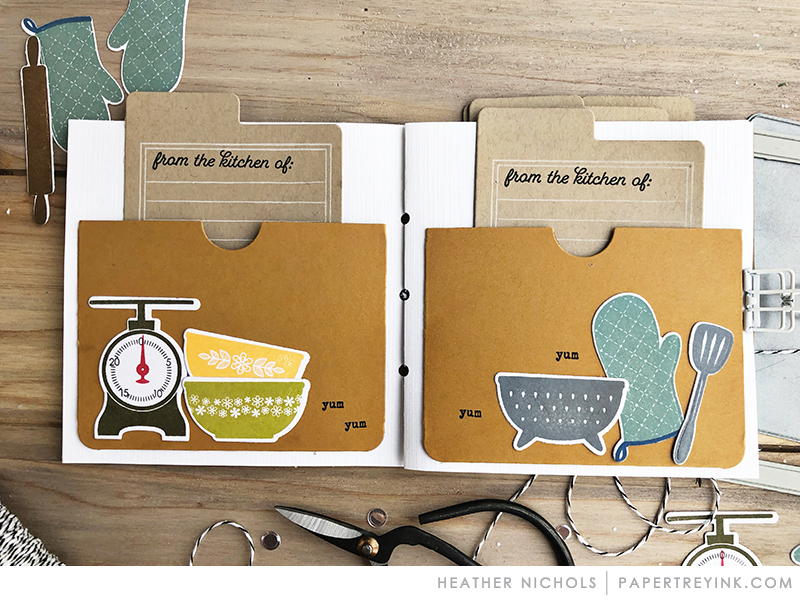 I used the original Traveler’s Journal size to accommodate the pocket size to tuck the recipe cards into. I love having the option of picking just the right Traveler’s Journal size for my project. 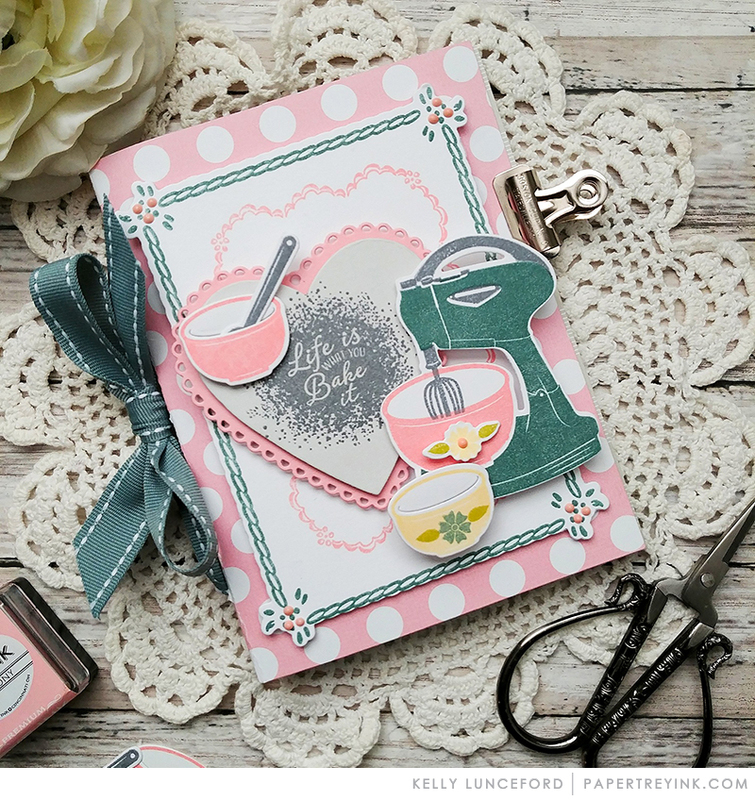 I had fun stamping and die cutting images from a few stamp sets that feature kitchen accessories to use on the pockets of my journal. Bowl of Sunshine, A Second Helping of Sunshine, and Too Hot To Handle are all sets that have great kitchen images to use. 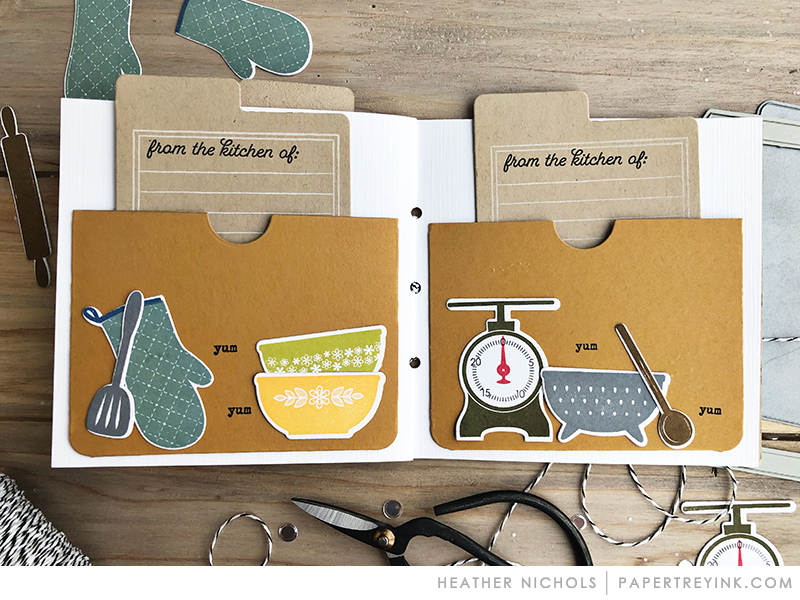 If the book is a gift, you could also stamp and die cut some additional images to include so that they could be added to the book and/or recipe cards later. I stamped the word “yum” scattered through the images on the pockets of each page. The “yum” is a part of the Sweet Treats stamp set. I love the fun and whimsical effect it added to the book! 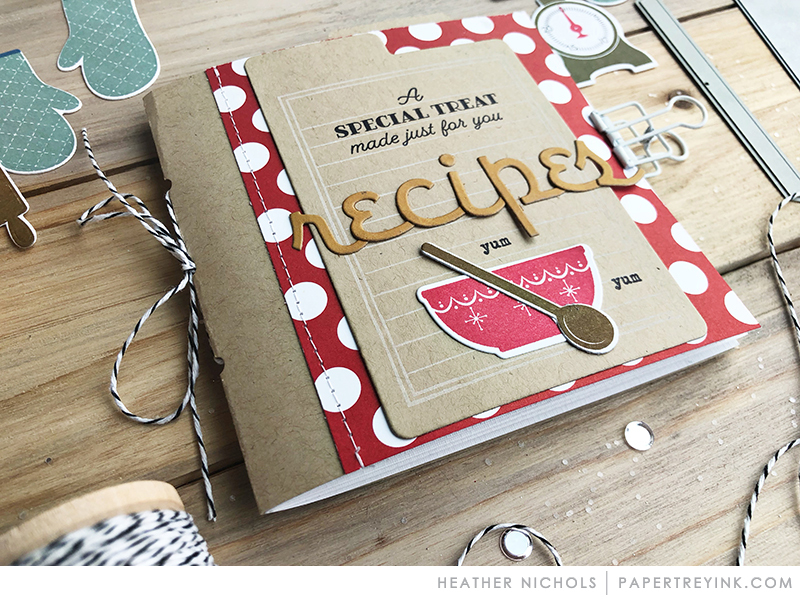 How fun will this little book be once it’s filled with a collection of yummy recipes? 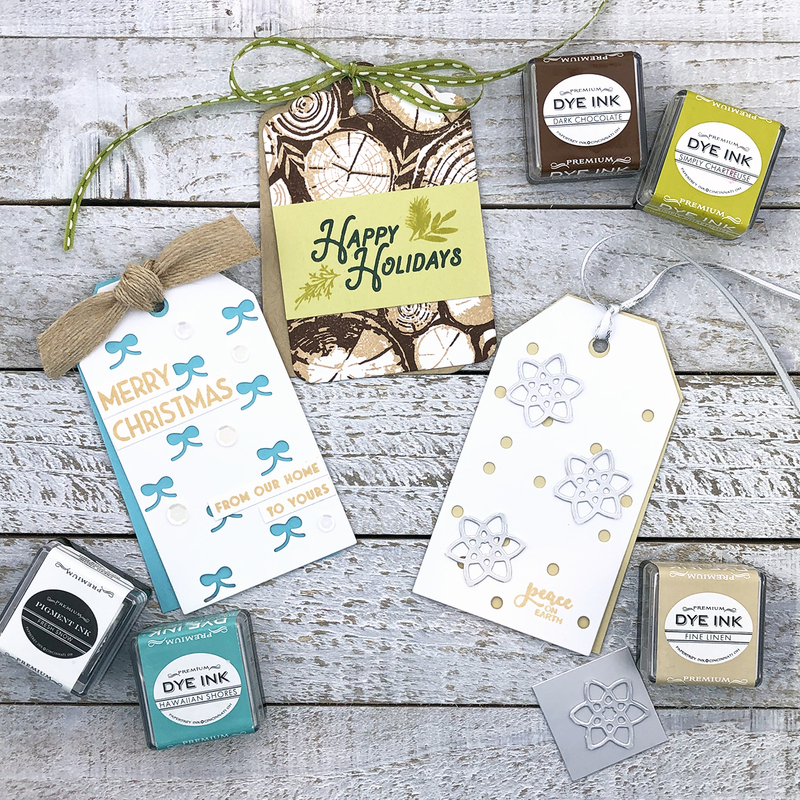 It is such a fun and unique gift idea.. or like I mentioned before, you might just need to keep it for yourself! 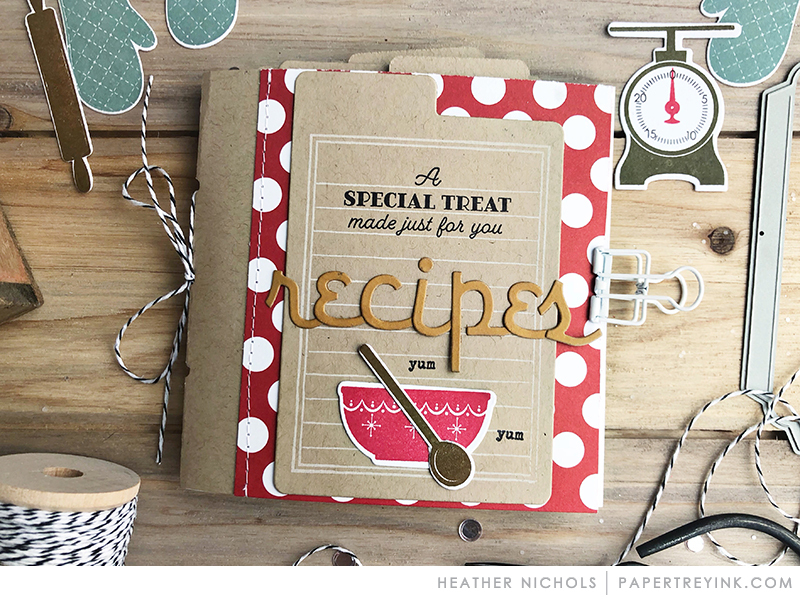 Now, take a look at the great inspiration for creating food themed journals from the Traveler’s Journal team. 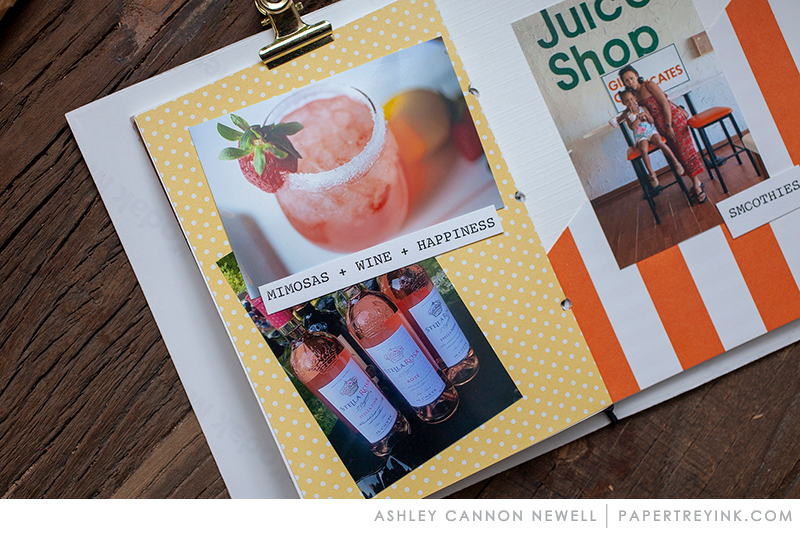 I love all of the different ideas that they have to share with you today! Thank you so much for joining me and the Traveler’s journal team today. I hope you enjoyed what we had to share today and are inspired to put together your own food inspired journal with the Traveler’s Journal collection. These are adorable!! I love the cookbook idea! So many ideas swirling in my mind. Thanks for all the inspiration! 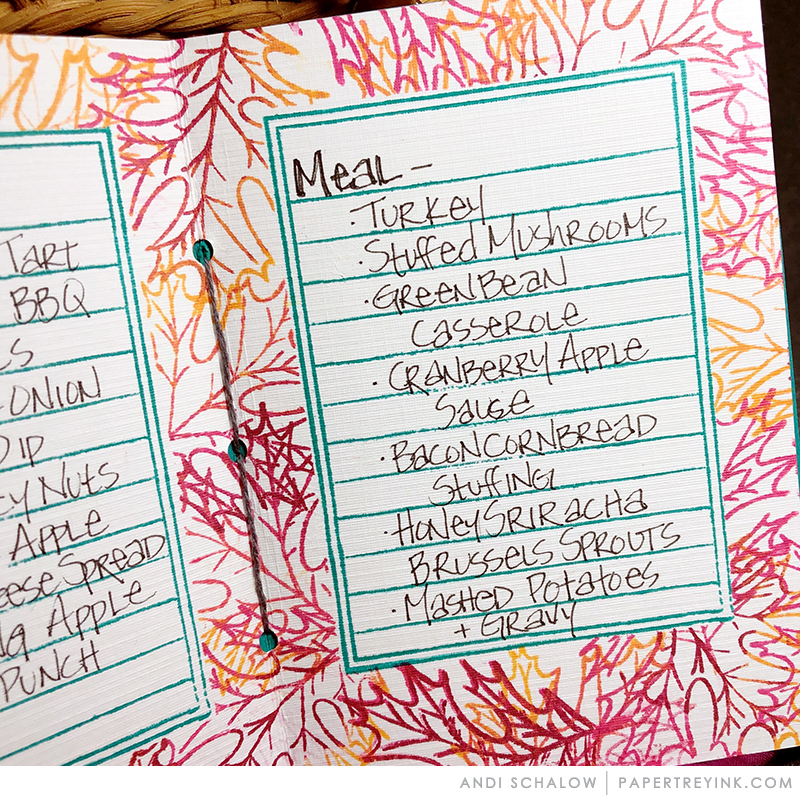 Such neat food journals! What a great way to compile both recipes and special memories!! What a great way to document the food at events! All the info, pics and recipes in one place. Eh gah! LOVE IT! Love Kelly’s and Heather’s journals. Perfect use for the holidays.